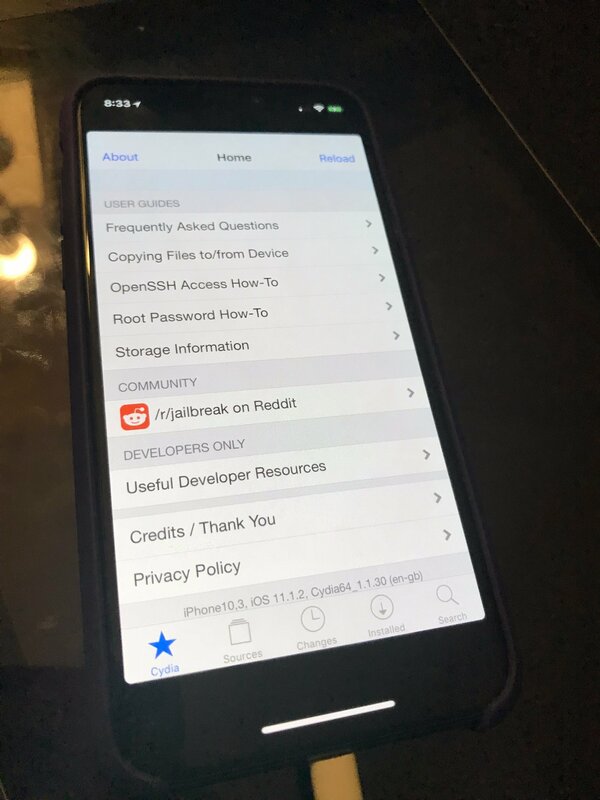 Ian Beer’s recently-publicized tfp0 exploit seems to be assisting eager jailbreak developers in their ongoing quest to create a working jailbreak tool for iOS 11.0-11.1.2. 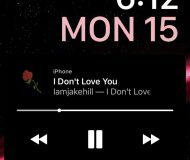 Twitter user cheesecakeufo shared the photo above on Twitter this week, showcasing what appears to be Cydia running on a jailbroken iPhone X with iOS 11.1.2 installed on it. While it looks promising at first glance, there’s purportedly still a truckload of work to be done. Cheesecakeufo cites Ian Beer’s exploit as a big help in making this feat possible, but some caveats remain. For one, it’ll take some fine-tuning and testing to ensure stability. Furthermore, Cydia isn’t quite ready for iOS 11 just yet, and its functions remain limited until Saurik updates the app for Apple’s latest operating system. 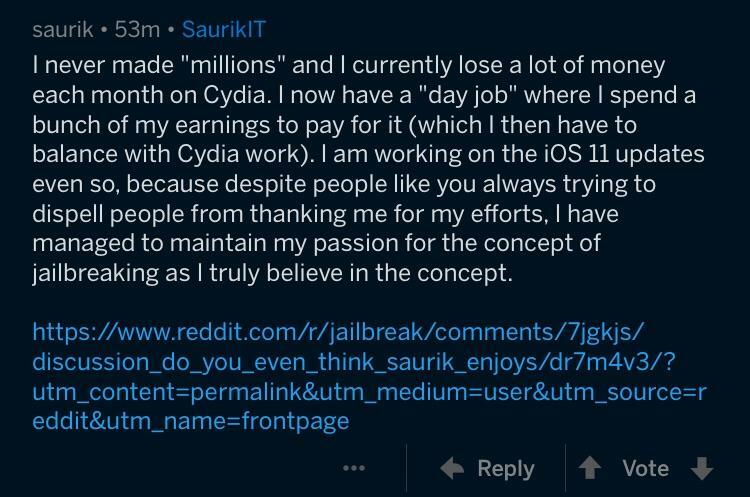 The comment also underscores how Saurik balances his Cydia work with a day job, so we shouldn’t expect an update overnight. 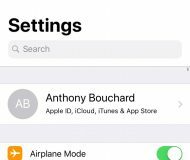 Nevertheless, it’s still thrilling to hear how the primary source for add-ons and tweaks on jailbroken devices will soon receive an update despite everything that has gone down in recent weeks. Given the circumstances, it looks increasingly likely that we’ll get to see yet another season of jailbreaking. On the other hand, there’s still no ETA for when an official iOS 11 jailbreak might drop. Everyone will just have to hang tight and continue crossing their fingers; as always, we’ll keep you in the loop as things change. NOTE: You can support Saurik and his work on Cydia by donating to him from his official web page. Are you as excited as we are about where the iOS 11 jailbreak situation seems to be heading? Let us know in the comments section below.